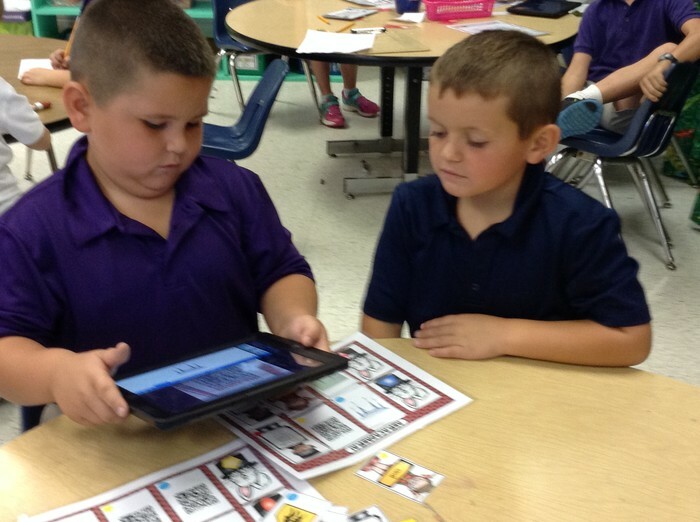 iPads, Blogs, and PowerPoint, Oh My! In our class we published our nonfiction specialist texts using PowerPoint software. The children imported photographs to match the text they wrote to teach others about their topics. We've begun posting comments to our Classroom blog. Last week, students wrote their opinions about recess and included their reasons behind their choice. Each week, they will reply to a new prompt. We're using our six iPads for a variety of purposes. So far, we've scanned QR codes to give our partners feedback during a geometry activity. We've begun using the Classroom Organizer app to check out books from our classroom library. 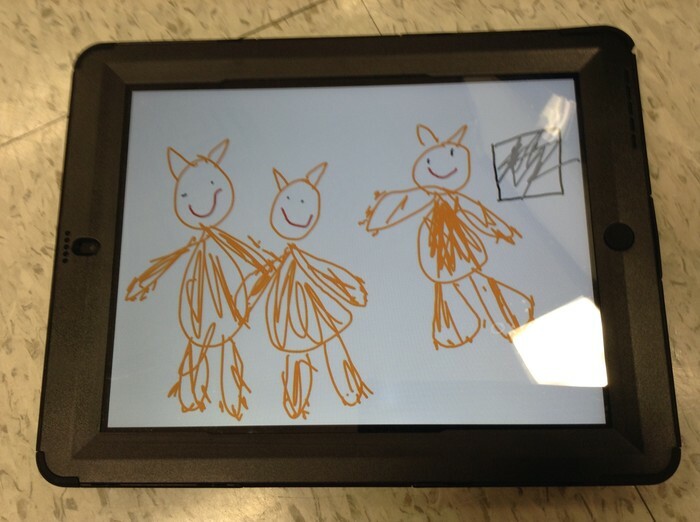 Last week, we used the ShowMe app to record our thinking while making text-to-text connections from the book, The Three Little Pigs and the Somewhat Bad Wolf. Soon, we will be recording student-created math word problems. Partners worked together to match shapes with the shape name, a real life example of the shape and the defining attributes. We recorded our thinking of our text-to-text connections about The Three Little Pigs and the Somewhat Bad Wolf. We've begun checking out books from our classroom library weekly. Each week a new librarian assists students returning their old books and selecting new ones for the week. Students in our class write their opinion about a prompt each week. We began by learning about facts and opinions. Our first prompt was about recess. Students stated their opinion and gave a reason to support their opinion. The next prompt was related to a survey they conducted during math class. Students are eager to express their opinions! 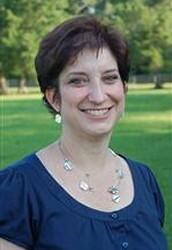 Ms. Cardaronella is a National Board Certified Teacher. She currently teaches first grade at Hammond Eastside Magnet School. Hammond Eastside Magnet school is an International Baccalaureate World School offering the Primary Years Programme of Instruction.